To Buy or Not To Buy: A South Beach Smoke Review - Daily Vaping Deals & The Best Vape Product Reviews at Vaping Cheap! Now, I’m what you’d call an AVID connoisseur of pretty much all things vape/e-cig and, with the number of brands currently flooding the market, I tend to spend a lot of my time puffing on new kits and sampling every manner of exotic flavor…only to find at the end of the day that if the product isn’t quite up to scratch, my lungs (and my tastebuds) have taken quite a beating. That’s why I’m pleased to announce this South Beach Smoke Review where I had the pleasure sampling, at my leisure, what is without question, one of the most reputable, tried and tested favorites on the market. In this South Beach E-cigarette Review I offer a candid run through of the latest range of South Beach Smoke products, including pros, cons and features you’ll definitely want to check out…especially for e-cigarette lovers like myself. This outstanding brand has been on the market for way longer than the majority of brands but they haven’t fallen behind, their products are constantly evolving to meet and exceed industry standards and besides offering top quality mechanisms, their 2013 partnership with all-American industry leader VaporFi means that they offer one of the best flavor ranges on the market, with only the highest quality ingredients and performance. In this South Beach Electronic Cigarette Review I had the pleasure of sampling the mid-range option in South Beach’s new range of kits (the new range boxes have an orange corner tab, as opposed to a blue one). Where prices vary between $21.99 and $159.99, I’ve opted for the $89.99 option, namely the Deluxe Plus Starter Kit and I’m pleased to announce that I’ve awarded it a solid 4.5 out of 5 star rating. Keep in mind, I’m rather hesitant to offer a full 5 star rating so 4.5 is pretty much the best it can be. The kit I opted for (Deluxe Plus) included powercig, manual, chargers for USB, car and wall, a universal case, 10 cartridges and 2 SuperMAX batteries and I felt that this provided more than ample bang for my buck. I was impressed not only with the light weight feel and discreet looks of the product but also with the ease of draw, rich, full smoke and outstanding flavor quality. I was hard pressed to find fault with the new mechanism or, indeed, with the tasty new range of flavors. Kit Range: With five options in their new range of kits, as well as a number of special options from selected stockists…South Beach Smoke offers an option to suit any budget or requirement. From the Reusable Express kit @ $21.99 to the Deluxe Ultimate @ $159.99, this brand has ensured that anyone can go out and do a South Beach Smoke Air Review of their own. Value For Money: We all know that starting up on e-cigs can be a little pricey…that’s why I was thoroughly impressed with what I got for my $89.99, I didn’t have to fork out later for add-ons and extras, everything I needed was included in the kit, quality was outstanding and based on market standards I saw well above average value for money. Service: Together with speedy and friendly customer service, home delivery and prompt shipping, I was impressed by the brand’s attention to detail, such as the Membership Card included in the pack. The brand offers affordable monthly home delivery of cartridges/e-liquids (without question an awesome feature). Quality Of Draw: Now, for me, this is what’s it’s really all about: With an easy draw, no leaking, a great hit in the throat and fresh, clean feel in the lungs I’m a big fan of the product. The vapor is rich and delicious all round and for a heavy drawer like me, I was so stoked about how open and fresh my lungs feel after a good few pulls on this one! Battery Life: The new SuperMAX batteries are awesome value and above average by far, although I’ve seen mixed reviews the majority are super positive and positive is exactly my experience here. The one or two problems I’ve read about regarding faulty batteries were met with incredible customer service and swift, free replacement. My battery literally lasted me all day before I plugged in and I don’t play around. Flavor Range And Quality: Yes, yes, yes! Having been a heavy, menthol regular cigarette smoker before my happy conversion, I’m a freak for fresh and fruity flavors and this South Beach Smoke Review didn’t leave me unimpressed. The brand offers an unrivaled range of fresh as well as sweet, richer flavors and the quality standard applied to their ingredients is more than evident in the taste and experience of these flavors. You’ll never tire of this range. If you’re wondering why I’ve subtracted half a star in my rating, when this South Beach Smoke Review doesn’t even list any cons, here’s my reason: No brand is 100% perfect and if you look hard enough, you’ll always come across a handful of negative customer reviews. In this case I’m giving that handful of nitpickers the benefit of the doubt, just incase! South Beach is Constantly offering promotions and special deals, shop around to catch some of their amazing specials. Go ahead and hit Like on their Facebook page and you’ll be privy to all sorts of exciting discounts and benefits. Compared to many other e-cig brands, I have a lot of respect for the transparency with which this company operates. You need only browse their website to really get the inside scoop on their process and ingredients. With a little research you’ll find out exactly what you’re inhaling and how it’s formulated and that means a lot me, as well as to any discerning puffer. Namely, Quality, Performance and Range…you can’t go wrong with this brand. Their lifetime replacement guarantee for Home Delivery Customers demonstrates their own brand pride and their outstanding consideration for their customers. Well done SBS! Now, above all I want to be a voice of reason to budding (or seasoned) puffers out there, to ensure that you don’t go out and blow your hard earned cash on a product that will leave you wheezy or gagging. 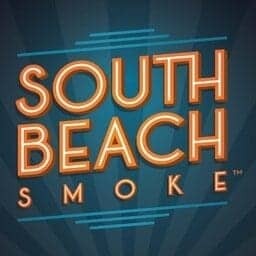 I strongly recommend the South Beach Smoke Range of products and flavors to anyone who wants their e-cigarette experience to be a positive one. Throughout my review career I’ve sampled so called ‘reputable’ brands and products which cost me twice what this one did, only to find myself half as satisfied as I am now. This was an awesome, fresh and tasty experience which reminded me of exactly why I chose to switch to e-cigs in the first place. Thanks and honors to you South Beach Smoke on an amazing product. If you're amped and keen to find a stockist near you, click below! My conclusion to this South Beach Smoke Review is definitely: TO BUY!